Vincent Flores has earned his USDF Bronze, Silver and Gold medals and is trainer / clinician based near Boston, Massachusetts. He has trained horses to the level of Grand Prix and has extensive experience with young horses and Baroque breeds. 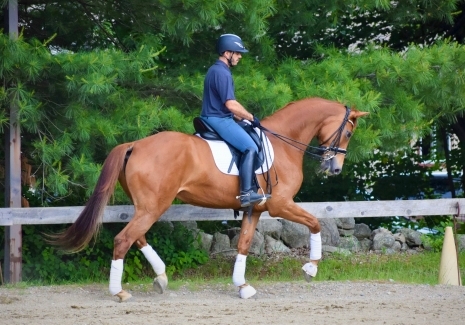 Dedicated to the principals of Classical Dressage, Vincent’s training program focuses on developing a mutual, harmonious relationship between horse and rider. A Frenchman by birth, Vincent can’t remember a time when he wasn’t riding. His equestrian life began with a background in show jumping and eventing. It wasn’t until later, that he discovered his love for dressage. 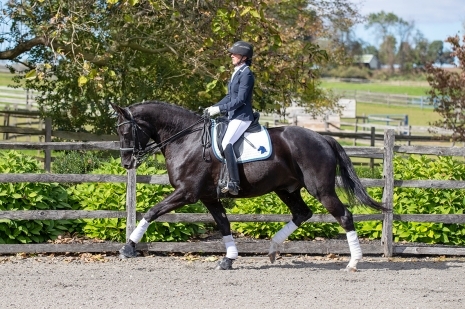 In 2012, Vincent moved to the United States and dedicated his riding to dressage. In 2015, he earned his USDF Bronze and Silver Medals, won the Region 9 Championship at Second Level with his 5-year-old PRE gelding, Hermes, and won both the Region 9 Championships at Prix Saint Georges & Intermediate I with his SWB gelding, Dolce. In 2017, Vincent earned his USDF Gold Medal aboard Renoir, a horse he trained himself, and Gold Bar aboard Montesol, a Lusitano gelding trained to Grand Prix. Vincent trains regularly with French Grand Prix competitor Jean-Paul Magnen (Cadre Noir de Saumur, France), as well as with Massachusetts-based trainer Kathy Connelly. Talented mare with competitive experience!